WhatsApp is a mobile chat application that most users take very personal, WhatsApp Messenger is a FREE messaging app available for Android and other smartphones. 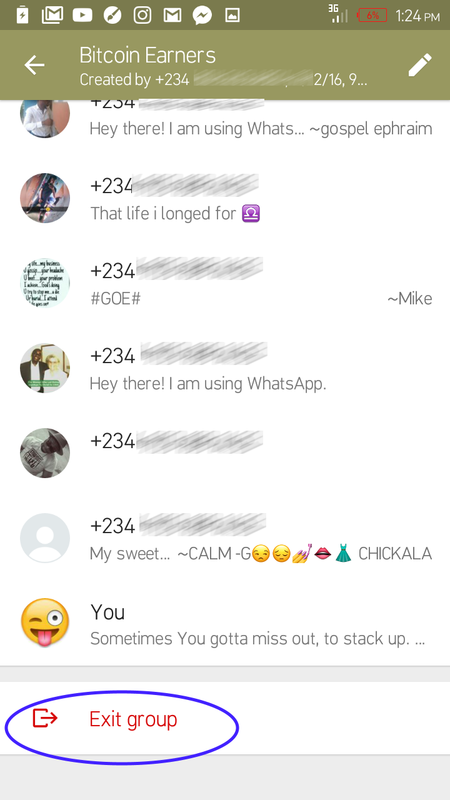 WhatsApp uses your phone's Internet connection (4G/3G/2G/EDGE or Wi-Fi, as available) to let you message and call friends and family. There are times your friends or unknown contacts will add you to WhatsApp groups that you don't want to be. You may find yourself scrolling and tapping around looking for how to leave the Group and that's what I'll be showing you how to do today. Leaving a WhatsApp group is actually very simple. Open the group chat >> Tap the group name at the top to display the Group profile/picture and members >> where there are lists of phone numbers of members, Scroll down till you reach the bottom. >> There you'll see EXIT GROUP. In red color. This is actually easier and faster. From your Chats list, Tap and Hold the Groups Name like you're marking it. >> Tap the 3 dots at the top right and EXIT group. It will take seconds to remove you.